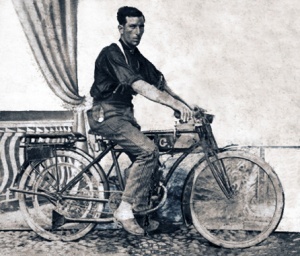 The LERI bicycle factory was founded 1898 in Bagnolo by Nogarole Rocca - Vr - Giovanni Rinaldi. In 1923, The son Leopold moved the production of bicycles and even begins to motorcycles in Cinisello Balsamo - I - thus the brand LERI (Leopoldo Rinaldi) and MIRELLA brand. 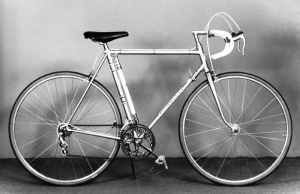 In 1958, LERI Moved the business to Muggio, Mb - sons John and Rosina continued the handcrafting production of bicycles and accessories expanding the range of products. The company began selling across the ocean and race bikes arrive in America in 1970 and begins production of the King of 'foss mythical and folding make fashion. In 1980's, all sorts of crazy colors were introduced, as with both the Mountain bike and BMX acrobatic bikes. 1992 and 2001, the daughters Paola and Roberta joined the company. In 1998, LERI celebrates one hundred years of activity by inviting the faithful clientele in an exhibition event.